MG Electronics - SB700TB Millennium Series Weatherproof Indoor/Outdoor Speaker Pair 150-Watts, 8-ohm/70-volt Selectable, 9-7/8" x 7-1/8" x 5-3/4"
UV and saltwater proof, Includes rustproof aluminum mounting brackets. Cabinet Finish: High impact glass reinforced polypropylene composite, completely weather sealed. 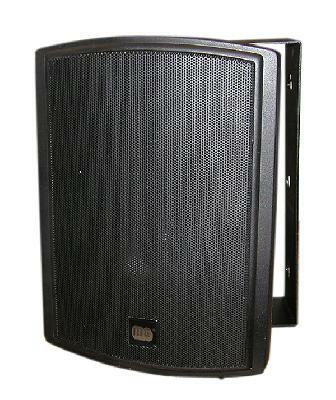 Speaker System Contains: 5" Mica Cone woofer and 1/2" dome tweeter with strontium magnet.